The game, Team Fortress 2 or TF2 for short, is a popular online game which is on iOS, Mac, Windows, Linux, and Android. The game is available on Steam and is available in specific countries. This means if you plan on traveling outside the supported regions and you want to play this game online you will be denied access. I would recommend a VPN to play TF2 through Steam. A VPN will allow you to switch the IP address you have with any other IP location that you select. A good VPN will help decrease lag and lead to faster gameplay. I’ll use ExpressVPN for the example of how to use a VPN service to play TF2 online. First you’ll want to download the VPN client. 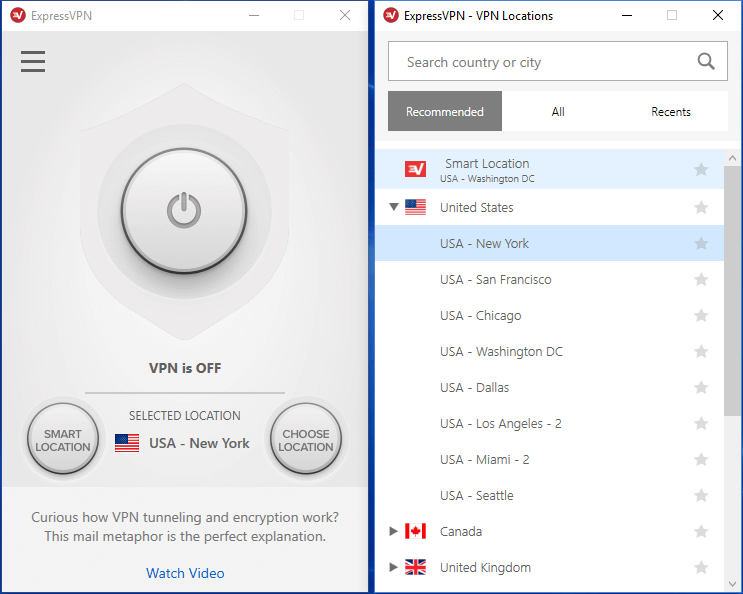 ExpressVPN offers free client software for Windows, Mac and Linux. In addition to free apps for iOS and Android. Capture the Flag: You and your team attempt to capture the opponents briefcase from their base and bring it back to yours, while still defending your briefcase. Control Points: You your team have 2 control points like the enemy. Both teams have one neutral spot. The first team to control all points, by standing on them until they turn your teams color, wins. Attack and Defense: The same thing as control point except only one team has all the control points to begin and the other team tries to take them all away for a win. King of the Hill: It is the exact same as Control Point except it has one point your team must control for a certain amount of time. Payload: you and your team will either push a bomb shaped object on a railway to the enemies base for a win or you defend your base for a certain amount of time for the win. Payload Race: It is the same thing as Payload except each team has to push their object further than the other team or get it to the other teams base quicker to win. Special Delivery: It is a combination of Capture the Flag and King of the Hill. You first compete with the other team to pick up the intelligence from a far out distance. Then you will bring it to a platform behind a big rocket and stay on the platform until it reaches the top. You will also have to dodge incoming enemies and kill enemies on the platform. You will know your team has won once the platform reaches the top and the rocket fires off. Training Mode: It is an offline mode that lets you train. The Heavy: He is a very big Russian who boxes, shoots a shotgun, eats lots of sandwiches, and has his favorite machine-gun he nicknames Sasha. Advantages: has lots of health, sandwich regenerates health, very strong, lots of defense, and has lots of ammo. Disadvantages: very slow, very inaccurate shooter, and he is a bigger target to hit. The Medic: A crazy German medic with no real morals towards his patients who keeps doves as pets and heals people. Advantages: Heals people with medic gun, has an Ubercharge that gives the medic and the person he is healing immunity for a while, and the needle gun fires quickly. Disadvantages: The Ubercharge takes a long time to charge up, the immunity does not last long, the medic is pretty frail, and the needle gun is not very powerful. The Demoman: Is an eye patch wearing and heavy drinking Scot. Advantages: He is the only character with bombs, has sticky bombs that sick to things and can explode the Engineer’s creations. Disadvantages: He has nothing but bombs with time and range limits, His sticky bombs explode when he dies, and the bombs can hurt him. The Scout: He is an over confident and fast talking male from Boston, Massachusetts. Advantages: He has quick shooting/hitting weapons, fastest member of the team by a long shot, not easy to hit when moving, and has a double jump. Disadvantages: Low health, low defense, and not very strong. The Pyro: It is a physiologically unstable person whose face has never been seen. Advantages: Sets everything on fire except teammates with flamethrower. Disadvantages: Has only close ranged weapons. The Sniper: A hunter based character that is from New Zealand. Advantages: Can shoot things from long distance in scope mode. Disadvantages: very easily killed when in scope mode because you can’t see your surroundings. The Spy: A French Spy with lots of disguises. Advantages: Can cloak invisible, dress as other members of the enemy to try to infiltrate them, and can destroy the Engineer’s constructions. Disadvantages: can be detected pretty easily, invisible cloak last a short time, and he is pretty frail. The Soldier: A durable, but slower American soldier. Advantages: He has a rocket jump, can shoot missiles, and is a semi beefy character. Disadvantages: The rocket jump hurts and it is a slower character. The Engineer: He is a good old county boy from Texas that is very musical and smart. Advantages: he can build sentries to shoot people, dispensers to restore health, scraps, and ammo, can create teleports to teleport him and his team places, and he can move and destroy his creations. Disadvantages: All the things he builds and upgrades takes scraps, It also takes a lot of time, and can be easily destroyed by other characters. All of these characters can be customized. Once got an item for that character by trading with others, buying the item from the store, or playing the game until that item eventually is given to you. The items you get can be hats, guns for a certain class, or crates that need keys to unlock. Team Fortress 2 is an online game with a lot of content that is free on Steam. Steam is available in select countries around the world. Overall Team Fortress 2 is a very fun game that I highly recommend. Once again I recommend using a VPN service to play TF2 A VPN will give you an IP address from the server location you choose. It will also improve performance by improving your ping and protect you from DDoS attacks. Enjoy all the excitement as you play TF2 online. Please share this post with your friends so they can enjoy Team Fortress 2 from anywhere in the world with a VPN. Follow us @VPNFan for the latest deals and guides.